Insta360 have partnered with Matterport, which is a cloud-based system that will re-create your home in a 3D space. 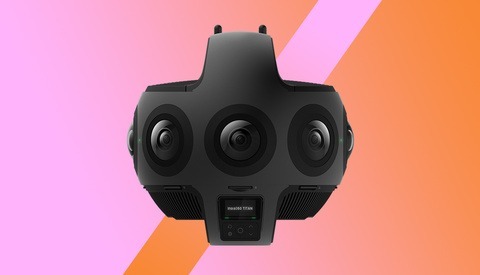 Now, you can connect the Insta360 ONE X camera to the Matterport app and immediately get going. What blows my mind, is that the final result includes measurements like the square footage of a room. 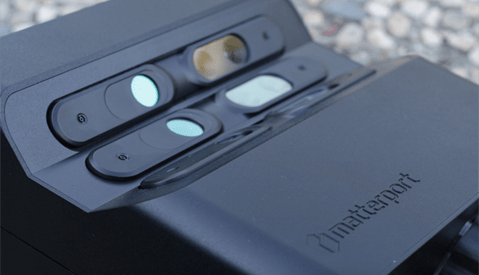 Normally, Matterport would sell you their custom camera (starting at $2,495). So while you won’t get all the bells and whistles with a tiny Insta360 camera, you’re only spending $400. You’d still need to pay for Matterport’s hosting, but that’s the whole point here anyway. 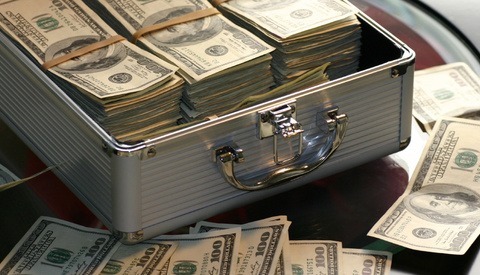 Beyond real estate, this has also been used in tourism, hospitality, and industrial cases. If Matterport isn’t your jam, Insta360’s got partnerships lined up with similar services like VPiX, Kuula, iStaging, Cupix,and immoviewer. To me, it’s reassuring that if I came to dislike one service, I could jump to another and still use the same camera. This would be especially important if my business relied on it. Have any readers created virtual tours before? Feel free to share! From the standpoint of a person who shoots real estate, I think this is great and really crappy at the same time. I love the idea of being able to create virtual tours. I DON'T like the idea of actually having to make sure that the home is clean. Normally I'm just shoving stuff behind the camera, but you can't do that here. Either the homeowner or agent has to actually make sure that the house is clean, which is fairly difficult to do in my experience. I agree that it's a pain, but I'm hoping apps like the one Bartley Wilson is working on will let you take multiple photographs in one location and move junk from one side to the other between shots, then merge them. That would make it seem cleaner than it was. You can't force people to have a clean house, agreed, but I think buyers would still take a (somewhat) messy virtual tour over a couple of photos, and, regardless, when you get them into the house, they'll see it in it's full glory anyway - at least those who did a virtual tour first might have more realistic expectations. Require the agent to take ownership of their listing. Develop a pre shoot checksheet that is clear what is required. No reason for a house to be dirty when the photographer arrives. If the 3-7% commissioned agent can't be responsible for the condition of the property they are listing, then why should a $200-$300 RE photographer? If you want to sell your house, is doing a bit of clean up not an obvious thing to do? I mean, people might come over to have a look at the property. If it's a mess, then you will not sell it anyway, no? You would think so, but it's far more often that I walk into a messy house (dirty dishes in the sink, underwear on the floor, etc.) than one that has been cleaned, much less staged to look good. Thanks for mention of our company (VPiX)! We're keeping a few things under wraps for a few more weeks as we are releasing a brand new Insta360 ONE X app for iOS users on the Apple Store (real soon.) Anyone with an Insta360 ONE X or any DSLR camera can sign up for a drive of the VPiX VR (SaaS) platform here by the end of the week. Published VRs can be seen on any MAc, PC, Tablet, Smart Phone, or many VR headsets including Google Cardboard, Daydream, and the HTC Vive. You won't have to build an app for the Apple Store or Google Play. Just upload, create, publish the URL and step into the panorama. It's about as fast at it gets. Look for another announcement here in a few days. I wish you well and hope the release goes as flawlessly as possible. I just visited the site and signed up for updates. We use a similar service for our rental studio so people can plan shoots before arriving. It would be great to be able to update the tour myself when we change sets up. I liked the Insta360 One X in use, and this is quite a game changer as far as its usefulness goes. For real estate, this can be terrific for a staged unoccupied home, but it's a near impossibility for a normally occupied home unless there has been a huge amount of prep time moving things out. The purpose of real estate photos is to compel a prospect to visit a house in person. In general, no one is going to buy a home on eBay sight unseen based simply on photos as they do with cars and boats. That being said, this could work for vacation rentals and the like where people are looking to see as much as possible about a place and are less concerned about a few potential blemishes. I shot 8 model homes with Matterport this weekend. 12,000 sq ft combined....And some were open for people to tour. I had to ask them nicely not to touch or move anything. And I had ro to re-scan a few where the door was left open a crack. But yes it took me 20 -30 minutes to walk though, open the doors, turn on the lights and clean up where needed. You really have to focus. No photoshop here!